34" x 8" x 26"
54" x 14" x 8"
A fully carved lighthouse made from a solid piece of gray granite with polished windows and doors. 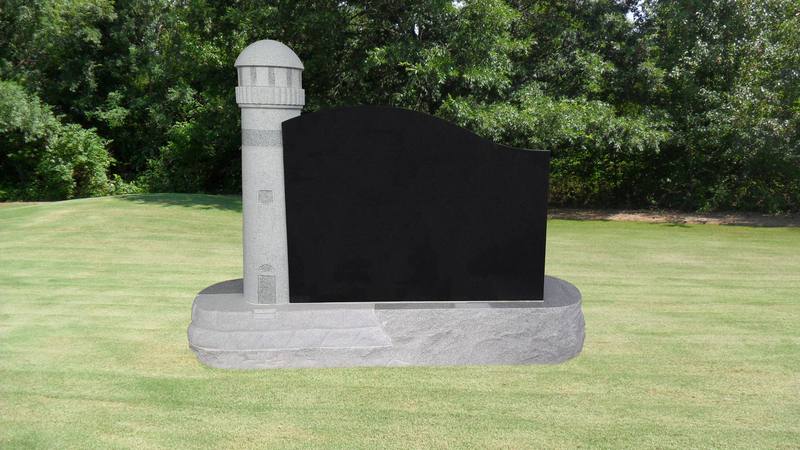 The lighthouse is fitted inside a notch on the left end of a Black granite headstone. 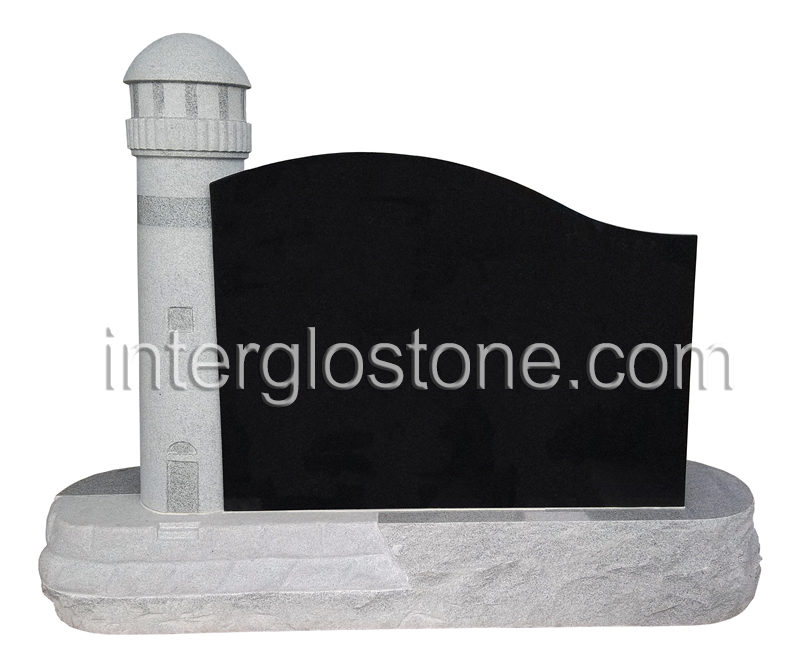 With a custom carved base made from gray granite featuring carved rocks below the lighthouse.